On An Overgrown Path: Time for classical music to awaken the inner analogue? Time for classical music to awaken the inner analogue? Benjamin Britten's 'holy triangle' of composer, performer and listener is bound together together by the glue of sound. Such was the importance of sound to Britten that he built one of the world's acoustically finest concert halls and condemned the loudspeaker as the principal enemy of music. Yet today the glue of sound has become increasingly fissile as mobile and digital technologies heap sonic compromise on sonic compromise. But thankfully the art of great recorded sound is not quite dead, as is proved by a new CD from Nimbus Alliance titled The Art of Transcription*. 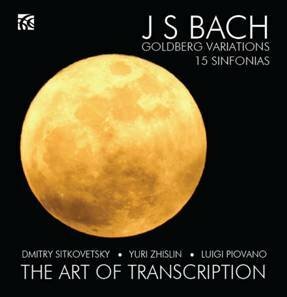 The quality of the music - Dmitry Sitkovetsky's transcriptions for string trio of Bach's Goldberg Variations and Sinfonias - and the quality of the performances - by Yuri Zhislin, Luigi Piovano and Sitkovetsky himself - are both outstanding. But equally outstanding is the quality of the sound in a recording produced by former EMI staffer John Fraser and engineered by Philip Hobbs at Potton Hall here in East Anglia. All too often today the demands of concert recordings and simultaneous video recording force the production team to place the microphones close to the performers, which robs the sound of vital spacial information and atmosphere. But John Fraser and Philip Hobbs wisely avoid the curse of close-miking, and the result is sound that transports the listener from the constrained set and setting of domestic listening to a seat in the converted timber-framed barn at Potton Hall. The Art of Transcription is digital recording at its very best, and digital technology has always been seen as an opportunity, not a problem, for classical music. But is that assumption true? In fact it can be argued that digital sound is contributing to the disconnect between classical music and young audiences. Hazrat Inayat Khan taught how all life-giving energies - including music - are no more than vibrations. Yet digital recordings deconstruct and reconstruct those fragile vibrations with scant regard for their integrity. Yes, it is a miracle that technology can perform the sonic equivalent of turning pigs into sausages, and then turning the sausages back into pigs. But is it surprising that the resulting digital porkers don't quite sound like the real thing? 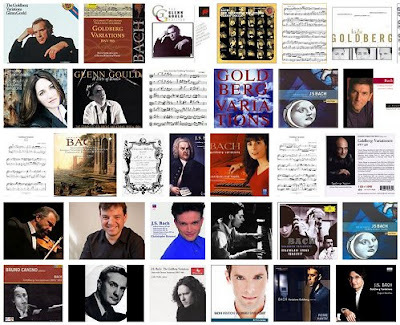 ** Those searching for new audiences would do well to study Glenn Gould's all-analogue 1955 Goldberg Variations. It sold more than forty thousand copies in its first four years in the catalogue and more than one hundred thousand during Gould's lifetime - all without the aid of iPods and social media. Whereas today a digital album is a best seller if it shifts less than a quarter of that volume across both disc and MP3 formats. Vinyl is making a big comeback with young rock fans. Time for classical music to awaken the inner analogue? * It is a measure of the power of Dmitry Sitkovetsky's Goldberg disc, seen above, that it survives a negative al-Kindī effect. How many impulse buyers will reach home before realising they have not bought the Planets or Also sprach Zarathustra? Which is why I opted for an alternative header image. Sadly Potton Hall - complete with recording studio - is for sale. The problem has become that with the death of the record store, online is the distribution mechanism. I wonder if a 3D 'model' of a great LP could be printed with a home 3D printer? jayuhfree thanks, but beware of the canard that "online is the distribution mechanism". In fact the ratio of CD albums sales to downloads is still more than 3 to 1 in favour of physical discs. No doubt there are many advantages to analogue reproduction. However, vinyl won't hack it anymore, and it shouldn't have to. Vinyl is too delicate, it absorbs the impact of the reader (needle) therefore absorbing part of the signal. You can't go backward. New materials in both production and reproduction will have to be used if analogue is going to become a viable medium. Start there and you have an argument. the rest is just noise. One overlooked player in this debate is the SACD standard. It has failed to gain traction in the market and is a digital format. But the very high sampling rate of 2.8224 MHz is one of the reasons why it sounds better than CD and MP3. Do not be misled by the high sampling rate figure of SACD. The SACD digital encoding mechanism (1-bit per sample) makes the sound just comparable to a standard 24bit/96KHz recording. Better than a CD, but not years-light ahead as many might think. G-sus, thanks for clarifying that. Although I have a lot of SACD discs - including many from the Alia Vox catalogue - I do not have SACD replay equipment, so have no first hand experience of the sound quality. In fact my Arcam Alpha 9 CD player is HDCD capable - another technological dead-end.